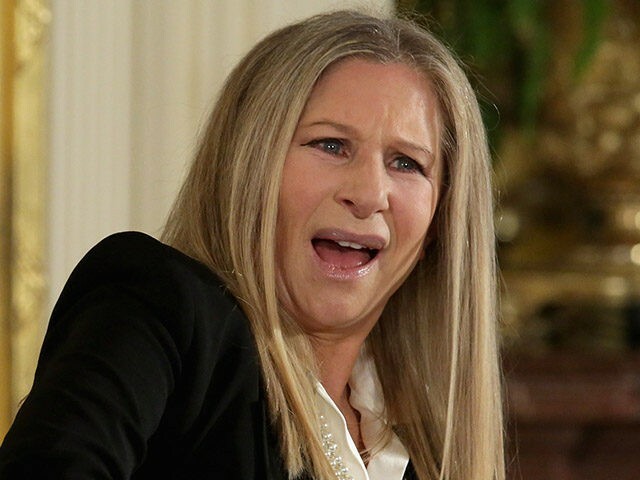 Add Barbra Streisand to the list of celebrities who will be moving out of the United States if Donald Trump is elected president in November. The 74-year-old singer and actress told 60 Minutes correspondent Michael Usher on Sunday that she will leave the country if Donald Trump is elected president. “I can’t believe it. I’m either coming to your country if you’ll let me in, or Canada,” Streisand added, apparently referring to the possibility that Republican Donald Trump could be elected president. “You’re very, very welcome,” the Australia-based correspondent told the singer. Streisand, one of Clinton’s top celebrity backers in the 2016 race for the White House, has been increasingly vocal in her support for the Democratic candidate and increasingly open about her dislike of Republican Donald Trump. The Grammy, Emmy, Oscar and Tony-winning multi-hyphenate is set to host an “LGBT for Hillary” dinner fundraiser next month at New York City’s Cipriani Wall Street, with tickets ranging from $1,200 all the way up to $250,000. In March, Streisand penned an essay in which she blasted the “outright sexism” in the media’s coverage of Clinton. “Why is it that today even a woman as impressive as Hillary Clinton is judged not by her merits and extensive resume alone, but held to a pernicious double standard?” she wrote in a short essay for the Huffington Post. Streisand is just one of nearly a dozen celebrities who have publicly vowed to move out of the United States in the event that Trump is elected. Other stars who have made the same pledge include Whoopi Goldberg, Miley Cyrus, Samuel L. Jackson, George Lopez, Raven-Symoné and Cher. Streisand’s latest album, Encore: Movie Partners Sing Broadway, was released August 26.